The Salon Manager of The Beauty Chain and has loved beauty since she was old enough to apply lipstick! 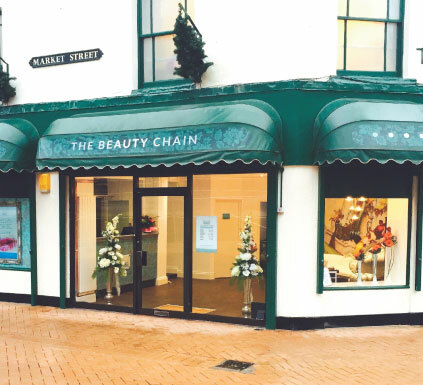 Her beauty dream was realised when "The Beauty chain" opened its doors at our new premises in Mansfield in October 2015. Danni is in her element when carrying out specialist skin treatments such as the Crystal Clear Microdermabrasion facial whilst also giving definition to eyebrows when carrying out a semi-permanent make-up tattoo. You can also find her busy at one of our manicure stations providing a full set of AcryGel nails. Is currently on maternity leave and will return in the New Year. This lady loves all aspects of beauty and can turn her hand to any treatment. She is as much at home applying a full set of classic look eyelash extensions or perfecting the ultimate cupids bow for a semi-permanent make-up lip liner tattoo. Not only is she a fully qualified Dermalogica skin and body therapist she shares a love of nails too! New to the team and with over 4 years in the beauty business Chelsea is our threading and intimate waxing specialist as well as being trained in make up. Trained in ear and nose piercing, and currently sharing control of the reception and booking desks with Claire. Sharing control of booking and reception duties with Natalie, Claire is also trained in ear piercing . Our admin and promotions specialist. Our Saturday junior - remember you get 25% discount for booking with Ronnie this season! The Beauty Chain salon at 10 Market Street, Mansfield.